This post contains affiliate links. If you click through and make a purchase, the Friendship Bread Kitchen may earn a small commission at no additional cost to you. One of the things I love most about Amish Friendship Bread is how versatile it is. 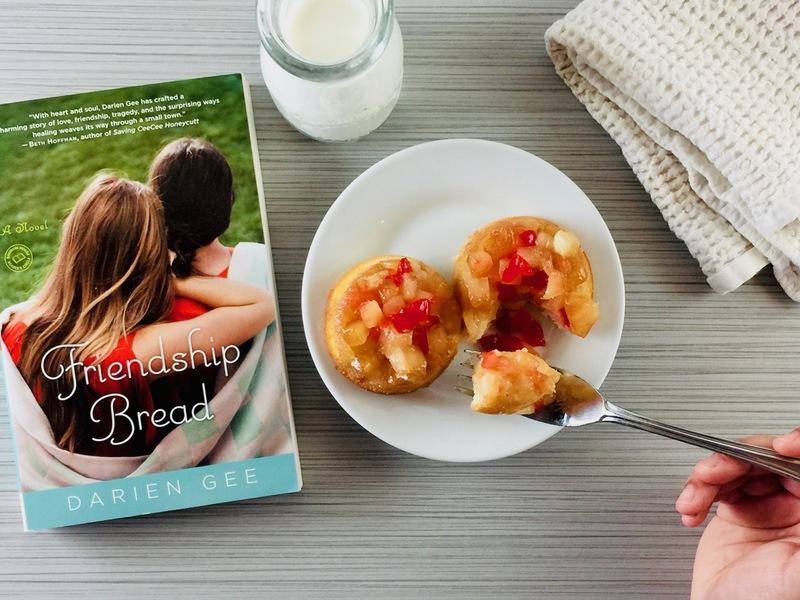 You can take your favorite bread, cookie or cake recipe and turn it into something wonderful to share with others. It starts with one cup of starter–from there, anything is possible. I’ve been wanting to update this recipe for some time, because I love making individual cakes for bake sales and to share with neighbors. I also wanted to tweak the recipe to use less oil (there’s actually none!) but, yes, I upped the butter content. I also made it in my cast-iron skillet, and had enough batter left over for a couple mini versions as well. 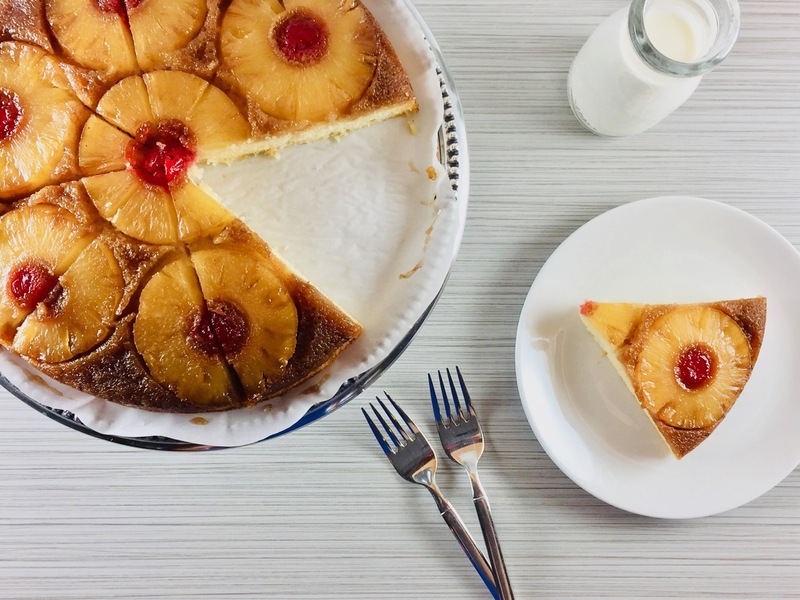 This Pineapple Upside-Down Amish Friendship Bread Cake is a family favorite, because it’s not only warm and delicious, but has such a gorgeous presentation. Check out the video for set-by-step directions, or check out the recipe below. Looking to make this a grown-up dessert? Soak the cherries in ½ cup of dark rum, and add 4 tablespoons to the batter. Another great option with this recipe is using muffin tins to create individual cakes. Follow the same instructions to prepare the batter, but chop up the pineapple and cherries. Line the bottom of a sprayed muffin tin with the brown butter sauce, then add the fruit. Fill each muffin tin with batter, about ⅔ full. A warm and buttery upside-down favorite, packed with style and flavor. Make our Pineapple Upside Down Amish Friendship Bread Cake in a cast iron skillet or as mini cakes in a muffin tin. In a medium bowl, sift flour, baking powder and salt. In a medium bowl, whisk starter, eggs, milk, and almond extract. In a large mixing bowl, cream white sugar and 8 tablespoons of the butter. Combine flour and creamed butter mixtures to starter mixture in thirds, incorporating until smooth (be careful not to overmix). Heat 10” cast-iron skillet on medium heat. Melt remaining 4 tablespoons of butter in pan. Add brown sugar and whisk until sugar melts, about 4-5 minutes. Remove from heat. Arrange pineapple rings flat in skillet. Place a cherry in the middle of each pineapple ring. Pour batter over pineapples in skillet. Smooth with a spatula. Bake for 35-40 minutes or until a tooth pick comes clean. Cool 15 minutes, then run knife along the sides. Invert onto a cooling rack or plate. 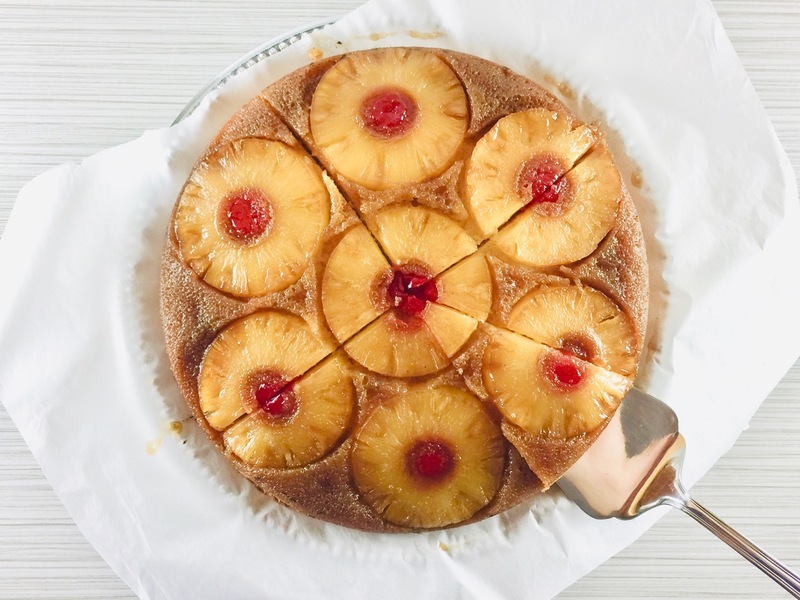 To make individual cakes, follow the same instructions to prepare the batter, but chop up the pineapple and cherries. Line the bottom of a sprayed muffin tin with the brown butter sauce, then add the fruit. Fill each muffin tin with batter, about ⅔ full. Baked this in two regular cake pans for 30 minutes. Perfect! I used the cinnamon-sugar mixture in place of white sugar. Worked great. Next time, take a cookie sheet and cover the 9×13 pan with a piece of parchment paper. Place the cookie sheet over the cake pan and with both hands, hold the cake pan against the cookie sheet and flip. Works every time. Then when the cake is cool, transfer with parchment paper to a serving dish. 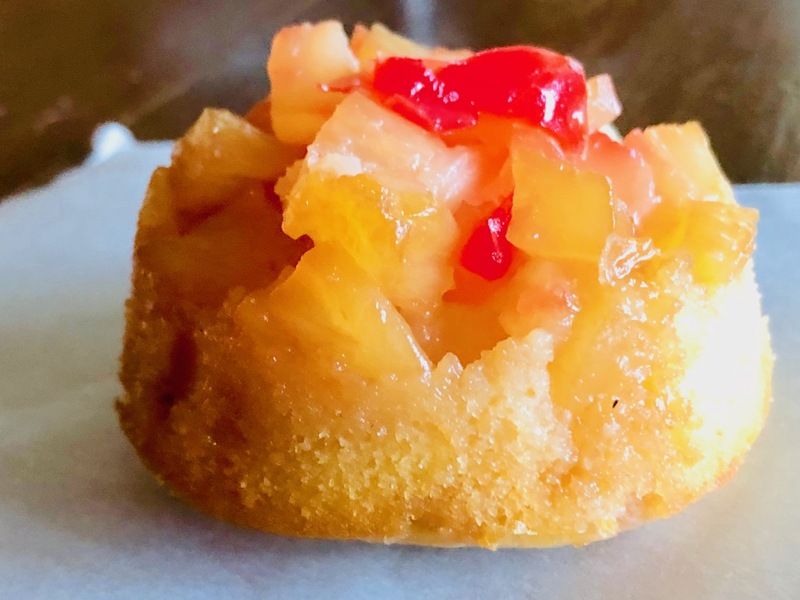 I have been making Pineapple Upside-Down Bread for years…I add some of the juice from both the pineapples AND the cherries. I bake it in the bread pans for just over one hour and they turn out splendidly!! I don’t use the cinnamon-sugar….I just pour melted butter into the bottom of the pans and add enough brown sugar until it is absorbed and then add my fruit. Like the recipe above I only use 1/2 cup oil. This sounds delicious! And beautiful on the table for company!